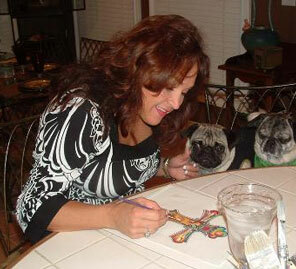 The Stone County Arts Council (SCAC) will sponsor a Painting Workshop with artist Kym Garraway on September 14, 2013. The workshop will be from 9am -12 noon at the Visual Arts Center on the Perkinston Campus of Mississippi Gulf Coast Community College. All supplies will be furnished for a completed piece. The cost is $45 for SCAC members and $60 for non-members. Space is limited and pre-registration is required. For further information, call Sandra Cassibry at 601-928-6298 or 601-528-2343. Proceeds from this workshop will benefit the Yellow Brick Community Arts Center Project. For more information about Kym Garraway, click here to see her website.